Well that week went by fast, didn't it? It just flew by for me. I can't believe that a week ago I was snuggled in my parents house back in Minnesota feasting on Thanksgiving leftovers and feeling the family love. Unsurprisingly my long weekend back in the midwest was totally unproductive, unless you consider deep, kitten-attack-free sleep and therapeutic pie eating productive :) But I had much fun and I learned to make a no-bake cute autumnal cookie creation from my mama. And here is a tutorial so you can too! Thanks mama. Step 1:Gather your supplies. 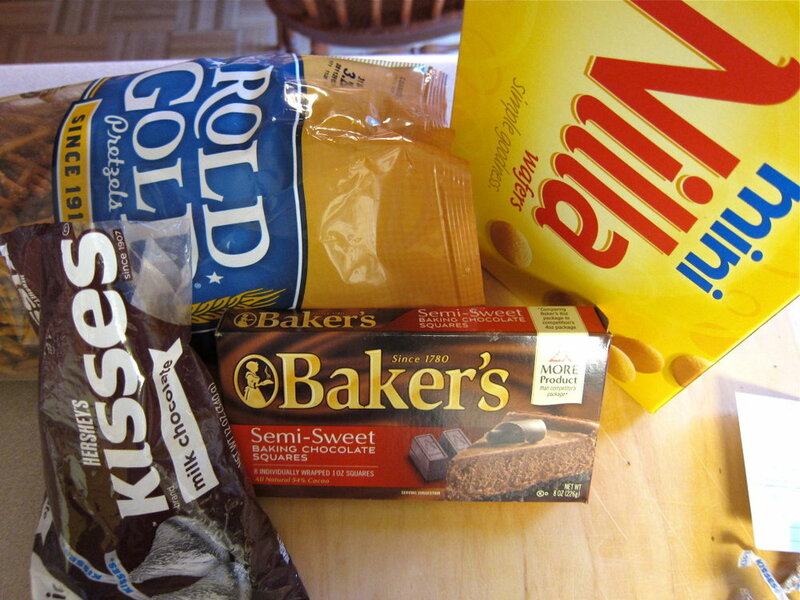 You will need Hershey's Kisses, baking chocolate, Mini Nilla Wafers, and mini pretzel sticks. Step 3: Attach kisses to mini wafers using a dab of melted chocolate. The easiest way is to dip the base of the kiss directly into the chocolate. 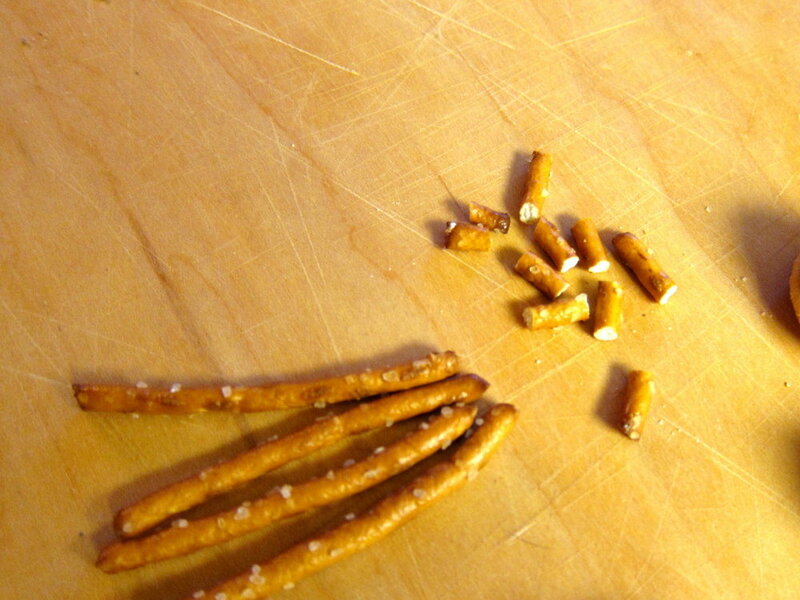 Step 4: Break pretzels into stem pieces. They have to be really really short to avoid gravity pulling them down. Here are the pieces next to the larger pretzel stick for scale. 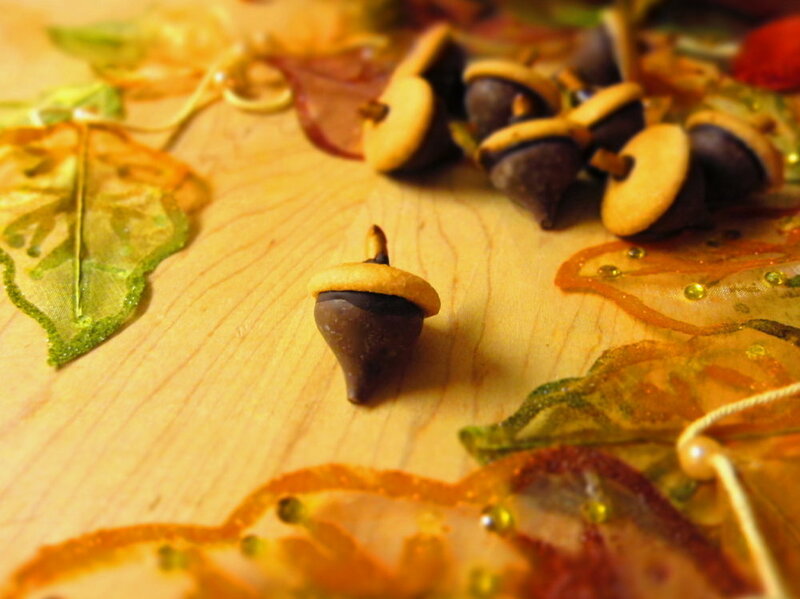 Step 5: Attach stem with chocolate.